Gujarat’s chief information commissioner Balwant Singh, in a ruling, which is unlikely to be taken kindly by RTI activists, has said that senior IAS official Sanjay Prasad’s two-year-old report on the death of three Dalit youths in police firing of September 2012, may be public, as it relates to a “human rights violation”, but under certain condition. The release of the report, says Singh, should be done after examining if the report or its portions are under the Right to Information (RTI) Act’s exemption category Section 8(1). Putting the job of examining this on Gujarat government officials, Singh says, they should find out if any of its portions in the report fall under the “exemption” categories of Section 8(1)(a), 8(1)(c), 8(1)(g) and 8(1)(i). 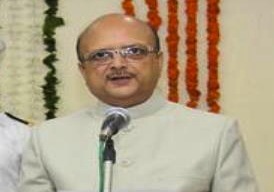 As the commission “is not in a position to decide whether any provisions of the Section 8(1) of the RTI Act will be attracted in this matter”, Singh says, it is the job of the First Appellate Authority, who is Additional Secretary, Law and Order, Home Department, Gujarat government, to do the job. “He should examine whether any of the above provisions of Section 8(1) will be attracted in this matter. He should also examine whether the report can be disclosed after severing any part of it which contains exempt information under Section 8(1)(a) or 8(1)(g) of the said Act”, he says. “Before doing this”, Singh says, “The Appellate Authority has to make sure that the provisions of Section 8(1)(c) or 8(1)(i) are not attracted in this matter.” At the same time, it allowed the applicant, Kirit Rathod, a Dalit rights activist who had sought to make public the report through an RTI plea, 45-days time to put forward his position. The death of three Dalit youths sparked statewide protest against the police action, following which the Gujarat government was forced to ask the then social justice and empowerment secretary Sanjay Prasad to examine into the incident. Ever since Prasad submitted his report, Rathod had been seeking to look into its details, but in vain. The SIC's decision is not bad but it is not commendable either. As the appellant has filed a first appeal already and the disposal of that matter was not satisfactory, there is no reason why the SIC must remand the matter back to the FAA again and again. I have two similar matters pending with Delhi HC after CIC agreed that there were allegations of HR violation against CRPF in a case of extra judicial killing but national security applied to may case. These cases are pending since 2013. Next hearing is on 22 Jan.
Hon. Chief Minister of Gujarat. The GAD Circular dated 14.11.2005 of RTI Cell is issued in the Name of Governor of Gujarat. It means this circular is approved by you. Now this circular is pending from 25.10.2006 with the Committee of Secretaries, Govt. of Gujarat decision’s to be cancelled or not. Till date this circular is not cancelled which might be pending for your approval. IT SHOWS YOU ARE NOT INTERESTED TO HAVE TRANSPARENCY IN GUJARAT GOVT. WORKING AND the IAS, GAS OFFICERS SHOULD HIDE THE GOVT’s.WRONG orders / decisions. Please make Gujarat State Bureaucrats dealing transparent. 2. Your 2nd mistake “You have not appointed LOKAYUKTA to deal with the corruption cases against the Politician. “ In the absence of Lokayukta the public can’t lodge the complaints of corruption cases against the Ministers, MLAs, and Corporators etc for investigations as is the case in other states. (The BJP ruled Madhya Pradesh have Lokayukta who is doing good work). The VMSS Vadodara officers knows well that if they will give me 'file notings' their rampant corruption and wrong doings from last 15 years will be exposed. Till Date I am not getting replies of my RTI Act 05 applications from Public Authority Mun. Comm.of VMSS Vadodara despite that the GAD changed their Orders dated 14.11.2006 of File noting Now to be given to an RTI Act 2005 applicants file noting from 2008 BUT all in Vain in Gujarat till date.. My 20 applications are not replied by the Pblic Authority of VMSS Vadodara from December 2005 to date. Rather getting threatsto be killed. This Mr. Modiji Gujarat State,=====The DAD Changed their GR dated 14.11.2006 to give file notings in 2008 to all RTI Act 2005 with details what to do and what not to do.==BUT all in Vain , THe Public authority VMC Vadodara not giving proper replies to RTI Act 05 applicants Rather the VMC PIO /AA even the PA are giving te threats to Kill Or MURDERED a the RTI Act 05 applicants if they will file more RTI Act 05 applications OR INSISTS FOR REPLIES FROM THEM.